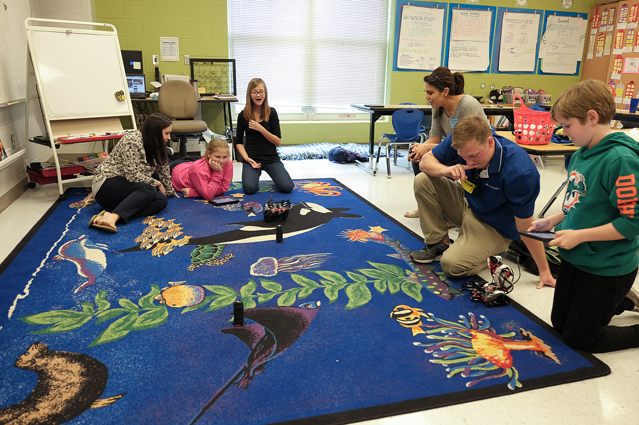 Last Wednesday afternoon, Website Pipeline developers Neiman Schwartz and Nathan Welch made the weekly trip to Pelzer, SC to coach and mentor the bright young minds at Spearman Elementary's after school robotics program. They were gracious enough to let some members of our Marketing team tag along to take some pictures and see what the program was all about. 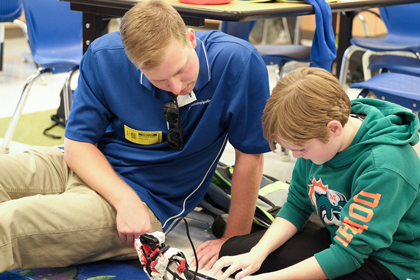 With the help of Website Pipeline, the school was able to purchase Lego robotics kits this past January and organize an after school program for 4th and 5th graders. 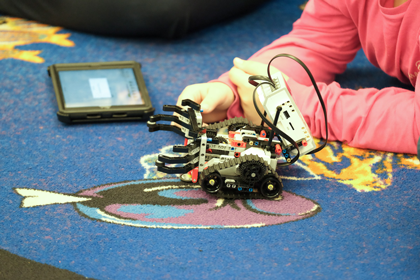 The program gives students an opportunity to interact with and learn about programming technology, all while having fun with their classmates and playing with Legos. Since January, Software Developer Neiman Schwartz and at least one other developer have been travelling the 20 some minutes each Wednesday to assist the kids as they work in teams to build and program a Lego robot. They are working diligently to create a vehicle that can drive itself, pick up an object, then bring the object back. 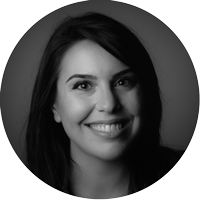 We were able to witness a few successful attempts, much to the delight of the robot's architect (as well as certain members of the Website Pipeline Marketing team). Amidst many failed attempts, the unfailing determination of the group’s mentality never faltered. To witness such persistence and patience at such a young age was impressive, to say the least. In the words of one particularly systematic and focused young student, “The best part was when we got to build the robot with the Legos. That was fun. But now we have to make them move, and that’s a lot harder!” -Jade , 4th grader at Spearman Elementary. The program continues for another six weeks before summer vacation begins. 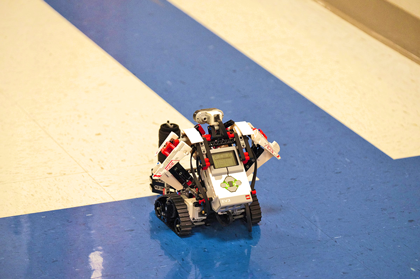 Before the school year comes to a close, the students plan on pitting their completed robots against each other in a race to complete a circuit of robot-friendly tasks. This friendly competition is the final challenge they will face in culmination of their 20+ weeks of hard work.